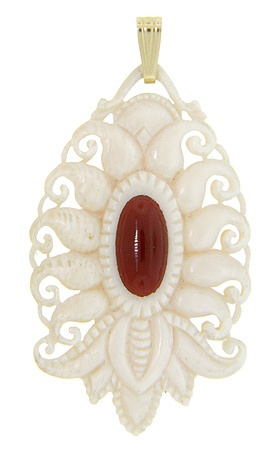 A central carnelian stone is the focus of this art deco ivory and carnelian pendant. The combination ivory and carnelian contrasts nicely in this setting. The 14K yellow gold bail has been replaced. 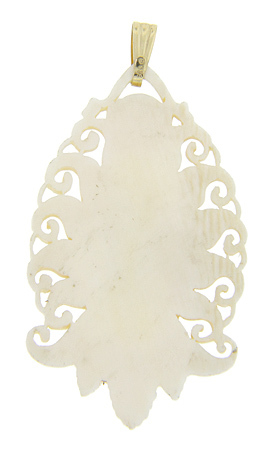 The pendant measures 2 1/4" tall and 1 1/4" wide. Circa: 1920-30.